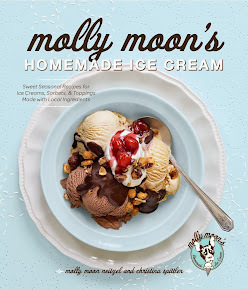 molly moon's homemade blog: ice cream pies for the holidays! ice cream pies for the holidays! hi everyone! i hope you all are having a cozy fall. i wanted to let everyone know that we're making some delicious holiday pies now to make your family gatherings more tasty, fun and easy! just grab a pie from the pint freezer or order one in advance by calling the shop at 206.547.5105.
right now we have pumpkin ice cream pies, with pumpkin clove ice cream swirled into a graham cracker crust. and on december 6th, we'll release our peppermint fudge pies! candy cane ice cream heaped into a chocolate graham crust, drizzled over the top with our hot fudge! the pies are $15. i hope they make your holidays bright!